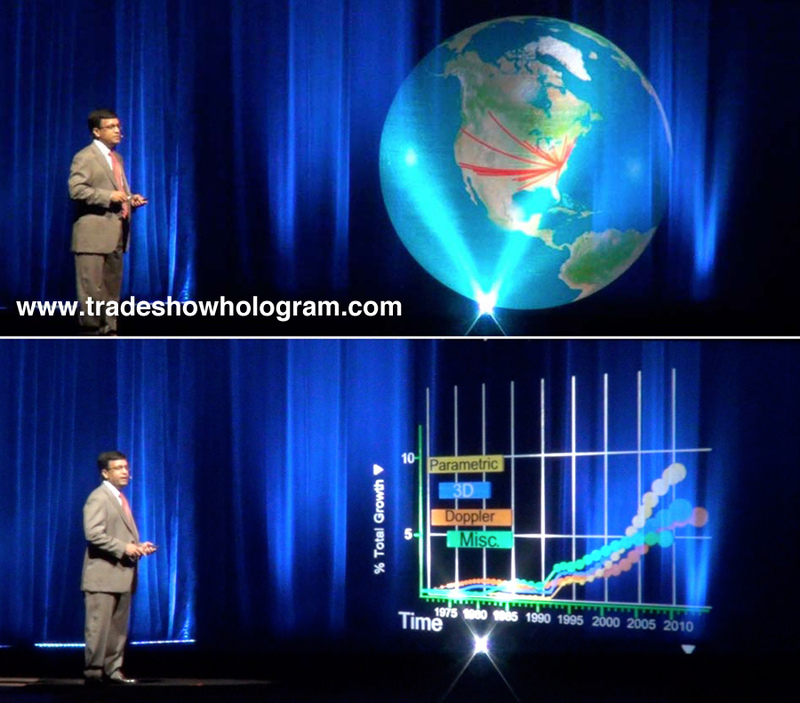 3D Holographic Keynote Presentation earns standing ovation at medical conference. Dr. Partho Sengupta wowed the crowd at the ASE Scientific Sessions by presenting his Keynote speech with a large scale 3D hologram projector. The holographic presentation included images up to 8 ft tall and 15 ft wide floating in the air beside him as he interacted with them. At one point Dr. Sengupta beamed in a colleague and mentor via a holographic teleconference to joint him on stage. This talk also featured a 3D Power Point presentation in hologram form. The presentation was rewarded by the conferences first ever standing ovation. 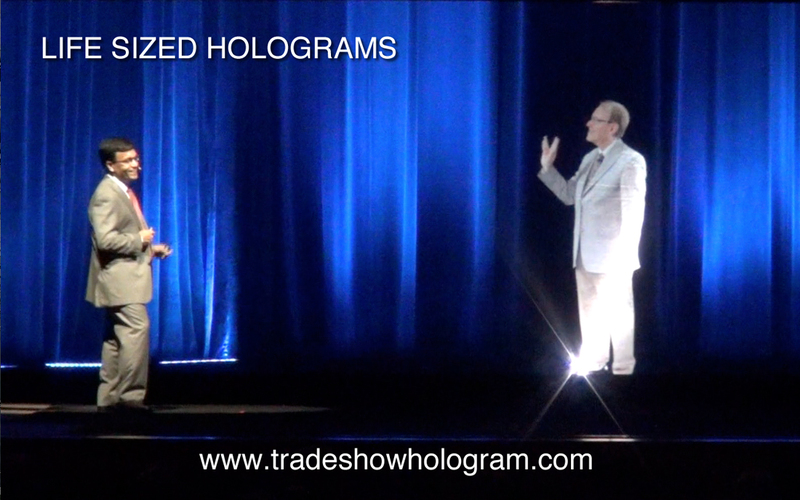 Keynote presented with large hologram projector wows crowd.